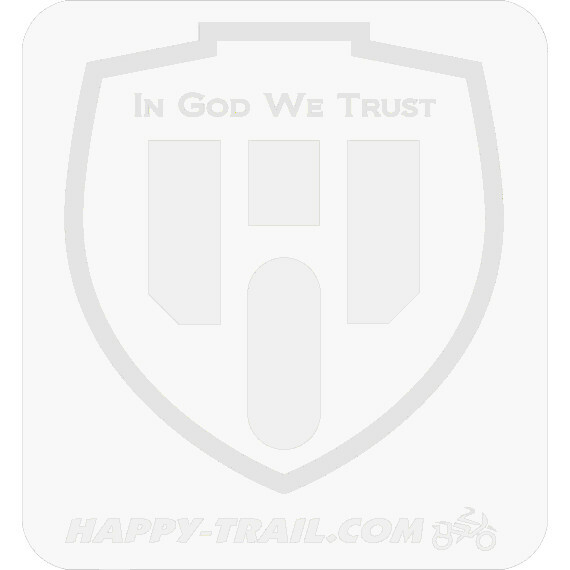 Decals with Happy Trails logo. Perfect for putting on a top box or pannier. Black with yellow.